This specification allows for the water supply entering the fixture from the floor and the vent pipe running through the fixture, out the top of the sprayhead. 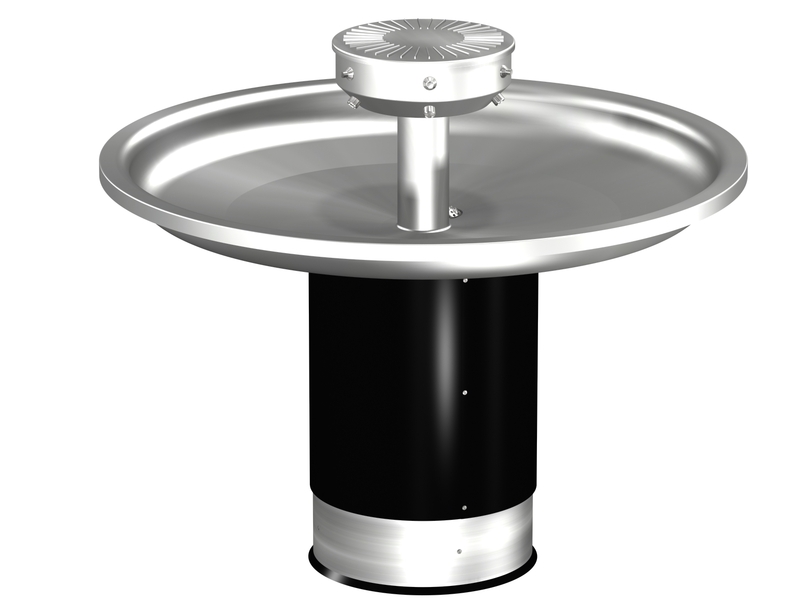 For models with a floor outlet a 2" No-Hub w/ Integral P-trap is included. For a wall outlet fixture a grid strainer and an 1-1/2" tubular tailpiece is provided. This specification will provide for the water supply coming through the top of the fixture and vent pipe coming off the drain. The stainless steel cover pictured conceals supply and/or vent pipes, making cleaning easy and providing a finished appearance.